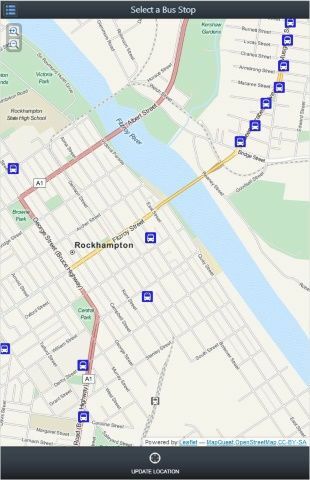 Using the Live Timetable to catch a bus is simple and can be accessed on any computer or smartphone. 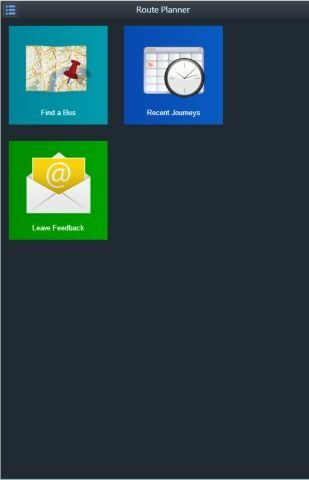 Here is a step by step guide to view a route, select a service and track a Young’s bus in the Live Timetable. Step 1: Visit the Live Timetable page Click here to visit the Live Timetable. Bookmark the address for quick access. Step 2: Home Screen Select the ‘Find a Bus’ page. Step 3: Select a Bus Stop Select any bus stop to see which buses will travel through that site. Or: use the ‘Update Location’ Button to find which bus stops are closest to you (Smart phones only). Step 4: Select a Route Choose which service you would like to travel on and press ‘View Route’. (To select services later than 2 hours click the ‘All’ button). 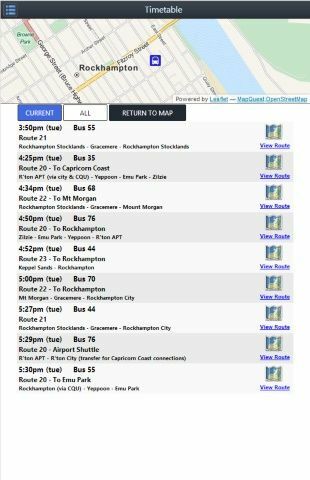 Step 5: View RouteThe Live Timetable provides an estimated time of arrival for the next bus on the selected route. 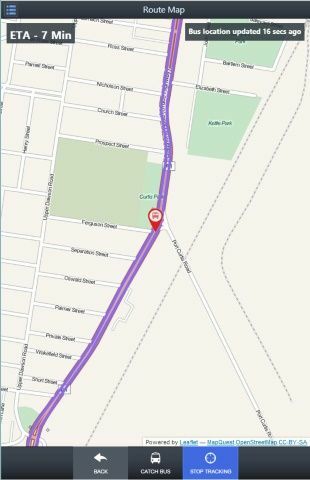 Pressing the ‘Track Bus’ button will take you to the bus’s current location (updated every 30 seconds). Where do I get the Live Timetable? The online application can be accessed here. Bookmark the address for quick access. 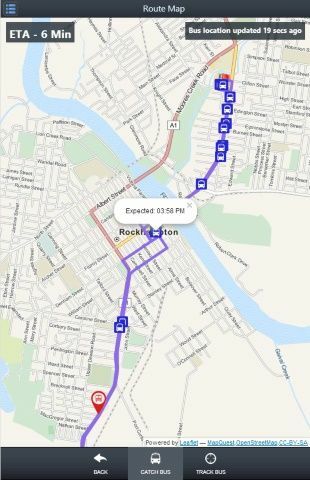 Bus tracking and route mapping can be done through a computer or smartphone/device, however the ‘My Location’ feature requires GPS capabilities housed in most smart phones to function. Does the Live Timetable cost money? Yes, every Young’s service remaining for that day is listed on the application. Can I view services on other days? No, the application only shows the remaining services for that day. For a full list of our Q-connect services click here. What happens if my bus is cancelled? The service will still be visible on the app but marked as “cancelled” in the listing. An alert icon will also appear if the service has been selected. The ‘My Location’ feature won’t work on my phone? The ‘My Location’ feature requires a phone that has GPS capabilities. If your phone does have GPS capabilities and still does not work, make sure your GPS has been enabled. Can I download the Live Timetable through the App Store or Google Play store? No, The Live Timetable can only be accessed through our website. For quick access we recommend bookmarking the Live Timetable and saving that bookmark to your home page. How do I bookmark the Live Timetable on my phone? Bookmarking is the best way to quickly access the Live Timetable. Each phone will have a different method for bookmarking but it will always be through the phone’s web browser. The best way to get this information on your specific phone is with a quick internet search.